Guest authors Sanjai Patel and Andreas Prokop explain why school biology lessons are important places to advocate fundamental biomedical research, and they present strategies developed by the Manchester Fly Facility to bring Drosophila research into primary and secondary classrooms. The need for fundamental biology research has perhaps never been greater than today, yet the conditions for meaningful biology research are in dire straits (e.g. 15; 5; 46; 42; 23; 25; 16; 12; bulliedintobadscience.org). Rectifying this situation requires science communication (scicomm) based on genuine long-term commitment paired with clever, engaging, and impactful strategies and narratives — aspiring to reach out to relevant target audiences and eventually also convince decision and policy makers. Today’s school pupils will shape the future of our society. They are therefore a highly relevant audience for scientists who want to have a lasting impact on public support for fundamental research and science-backed policy. There is also clear evidence that experiences in early life impact later attitudes and decision making (1; 6; 17). Importantly, scientists working in fundamental biomedical research have the advantage that their area of expertise tends to be closely related to topics taught in school biology lessons. This provides excellent opportunities to collaborate with teachers in order to improve lesson content and the pupils’ experience of science. I regularly encounter long-term retention of school experiences when talking with visitors at science fairs about Drosophila research and its importance (36); those who have seen Drosophila in schools, even decades ago, often want to share this experience with me and tend to engage more openly in dialogue from the start. Therefore, engaging with schools should be a no-brainer for scientists with a long-term vision, and we provide here some insights into the school work of the “Manchester Fly Facility” (ManFly) initiative, as an example that readers might find helpful. encouraging other drosophilists and teachers to adopt our scicomm ideas and resources (see below). Two of these ManFly activities stand out for their potential impact. Firstly, the fly training resources have had a major impact worldwide, with ~100,000 views and ~31,000 downloads across the four dissemination platforms (8; 28;29;41). Secondly, our school work has had the strongest growth and likely has the biggest future potential, as will be explained in the following. As detailed in previous publications (26b; 27), ManFly’s school outreach was born out of our ideas developed for science fair presentations. Initially, we went into schools to showcase Drosophila research but learned very quickly that this approach is not very effective. Although it does address one important objective of teachers, that is, to bring pupils in contact with real researchers, it is far more powerful to also align with the teachers’ task of conveying curriculum-relevant content. This approach gains the attention of more pupils whilst generating memorable encounters with fruit flies, and it provides excellent opportunities to develop true dialogue between the two professional groups of scientists and teachers. By now, ManFly has gathered experiences from over 80 events, including visits to schools, visits by school classes, and teacher seminars. We use these events to optimize our strategies and resources, and have formalized this approach through the launch of the “droso4schools” project in 2015 (10; 26a). The overarching objective of droso4schools is to use Drosophila as an effective tool for teaching curriculum-relevant content in biology school classes — ideally to achieve that its use would become a recommended or prescribed strategy in national curricula. Drosophila has essential advantages to this end: fruit fly research covers a broad spectrum of fundamental biology topics, providing excellent conceptual understanding, and there are many opportunities to perform micro-experiments that are memorable, cheap, simple, and easy to set up, even by teachers with little background in this area. To achieve our objectives we capitalize on mutual collaboration with teachers: we as researchers bring our scientific experience and knowledge and can suggest conceptual improvements to content, and spice things up with engaging anecdotes, experiments, and relevant examples. Teachers provide the essential professional expertise of the curriculum and of effective teaching styles that match the realities of school life. We place graduate students as teaching assistants in schools and have regular meetings during this placement (10; 26a). We invite teachers to continuing professional development events, which is an effective way of obtaining feedback and hearing a wider spectrum of teacher views (2). We build trust through repeated extracurricular school visits involving up to 200 pupils experiencing 3–4 different lessons in a single day. This also provides excellent opportunities to test new or improved resources (34). 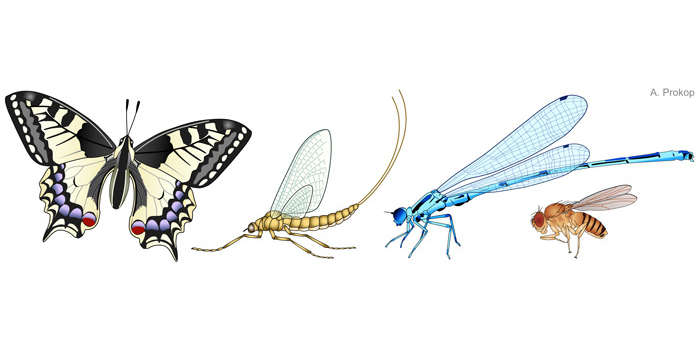 All ManFly lesson resources can be downloaded from our figshare.com repository (38) and have been summarized in a separate blog post (30). Background information is provided on the droso4schools website (20). Pupils learn about how organisms from bacteria to humans reproduce, what metamorphosis is, which insects have a pupal stage, what happens in the pupal stage, the disease-relevant life cycles of Plasmodium and tapeworms; includes activities on observing the fly life cycle and identifying amphibians and insect orders. Two further lessons are available through our second figshare.com repository, providing resources for science fairs and extracurricular school visits (39). Pupils learn about binominal nomenclature and the concept of species, discuss the role of mutations in the speciation process, look at marker mutations and use them to develop an invented evolutionary tree, ask the question of whether flies and humans might still share common biology, and eventually explore experimentally whether flies can be used for aging research; includes microscopy activities and a simple version of the climbing assay. After learning about binominal nomenclature and being reminded of evolution, pupils learn about Drosophila mutations to then relive events following the discovery of the white gene, using knowledge of the time to hypothesize, and Punnett squares to test whether the white gene is X-chromosomal; relevance is demonstrated with the Isihara color blindness test which often is not passed by male pupils; includes microscopy and Punnett squares. The key products of all our school activities are our school lesson resources (Box 1; 30). So far, we have developed six lessons that are completed for teacher use and comprise a PowerPoint file accompanied by support materials (homework tasks, activity sheets, teacher notes, risk assessments). Two further lessons are under development but are already suited for extracurricular school visits. All of these lessons use Drosophila as a teaching tool to address a specific curriculum-relevant topic and are spiced up with micro-experiments and examples of research relevance. Our classes are highly interactive and all contain micro-experiments. Examples shown are: A) using optogenetics to induce epilepsy-like seizures; B) identifying genetic marker mutations; C) performing dissections of maggots and colour reactions to demonstrate enzymatic activity; D) performing the climbing assay followed by data analysis and statistics. Experimental instructions are available at (39). pupils are curiosity-driven but less prepared to follow scientific logic; it can sometimes be surprising what messages kids take away from lessons. Illustrating the metamorphosis of muscles during the pupal stage of Drosophila to pupils. Source: movie taken and modified from Wikimedia (4). For primary schools, the national school curriculum in England lists three relevant topics: inheritance, life cycle, and evolution (7), of which we chose the latter two. For both topics, Drosophila offers fantastic conceptual and experimental opportunities, as is detailed in our recent blog post (35). For example, pupils can observe and protocol the life cycle of flies in only two weeks and there is unique understanding of the metamorphosis that transforms Drosophila maggots into flies. 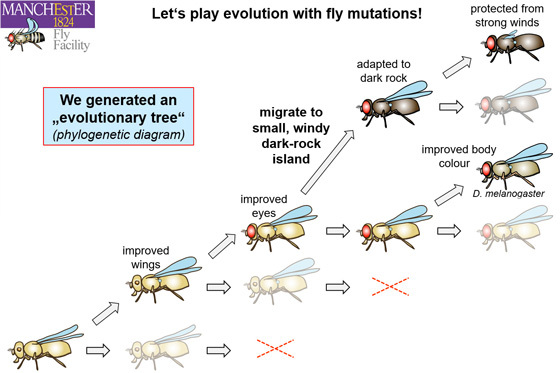 The surprising fact that concepts of human biology can be discovered through work in flies is an example par excellence for concepts of deep homology, evolutionary trees, and the idea of common ancestors (11; this can be further enriched in secondary schools by uniquely enlightening fly examples of population genetics or speciation; 9; 3; 24). To actively engage the kids with evolution, they use microscopes to look at flies carrying marker mutations, and then use this experience to jointly invent an evolutionary tree. Screenshot from the evolution lesson. Fly images were generated using the free “Genotype Builder” (29; 41). Developing our lesson pool was a lengthy and laborious process, yet it was only the first step; since then, we have been faced with the far greater challenge of (a) evaluating the lessons and (b) encouraging others to use them. Carrying out evaluations is a science of its own and requires strategy, time, and human resources to degrees that must be carefully considered from the start (43). So far, we have used simple surveys. In these surveys, pupils usually expressed positive views about enjoyment of the event, seem to have gained new understanding of biology topics (details in 34and 35), and the data suggest that we are able to ignite an interest in Drosophila: thus, before our school visits, awareness of fruit fly research was low, whereas afterwards there was strong support for introducing Drosophila in classrooms and even the use of fruit flies in research. These results look very promising but will have to be properly validated, for example by using pre- versus post-event surveys to assess knowledge gain, long-term surveys to test knowledge retention, or homework tasks to appraise depth of understanding and of subject engagement. 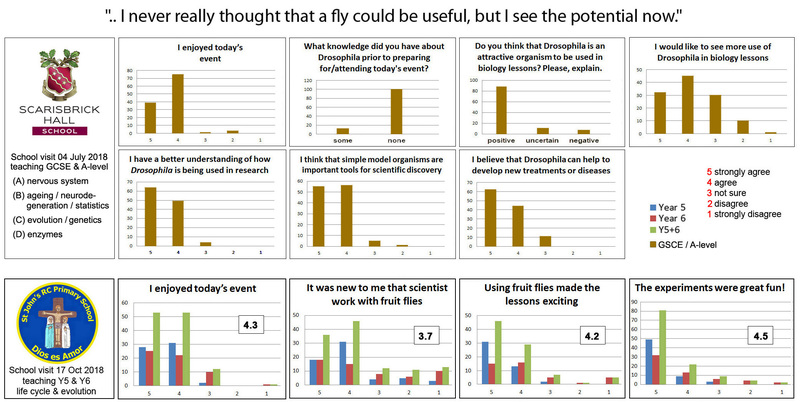 Evaluation results from a primary and a secondary school visit (details in 34; 35) demonstrating how lack of knowledge about Drosophila research can be turned into strong support. Click image to see a larger version. To have maximum impact, we aim to encourage the use of our resources and ideas within the communities of teachers and drosophilists. This requires spreading awareness of the resources and facilitating their use. As an essential step to this end, we freely share our resources, for which we launched two dedicated figshare.com repository sites: the first one is primarily for teachers and hosts the six completed lessons (37); the second site is for drosophilists and provides access to extracurricular lessons and science fair materials (39). As a further measure, we launched the droso4schools support website (20). 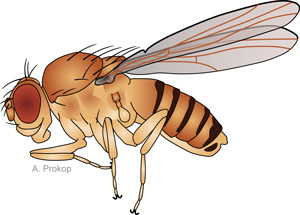 This website introduces and links to our resources, provides lesson-specific pages with details about the content, and additional information about Drosophila (“Why fly?” and “Organs“). These online resources provide proof-of-principle for our strategy and can now develop their own momentum, either by being actively used or serving as a template for resource development. With this in mind, we are promoting them through blog posts (30; 34; 35), talks and workshops at international conferences (31; 32; 40), journal articles for teachers (10) or drosophilists (26a), and finding allies who can help to drive the agenda politically or institutionally (see last section). What has been achieved so far with our school work is promising, as illustrated not only by the evaluations, but also by teacher and researcher comments from across the globe, as evidenced in our impact document (21). However, we hope that more teachers and drosophilists will be inspired to capitalize on our resources — be it using them as they are, adapting them for modified classes, or taking them as examples for designing lessons on new topics! If the principal strategy gains sufficient momentum and more of us adopt the necessary collaborative spirit across disciplines, communities and countries, and the relevant learned societies and science organizations drive the science education agenda politically (33), there is a realistic chance that flies can become established as routinely used teaching tools in schools — to the benefit of teachers, pupils, and researchers alike. Both authors work at the Faculty of Biology, Medicine and Healthof The University of Manchester. Sanjai Patelis the manager of the Manchester Fly Facility, Andreas Prokopis professor of neurobiology and academic head of the facility, and together theydrive the “Manchester Fly Facility” initiative and the ‘droso4schools‘ project mentioned in this blog post. I am a middle school science teacher (Grade 7) in the US. I am currently working with a professor from North Carolina to obtain some fly stocks. I wondered if I could access your lesson plans for using fruit flies to teach classical genetics (traits and punnett squares, etc.)? Can you help me? Thanks! Thank you! We have corrected this.